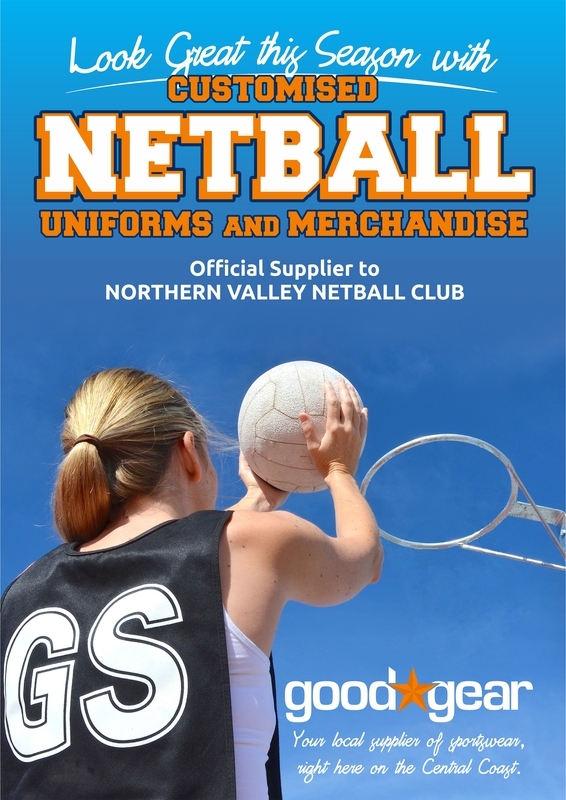 Goodgear supply custom made uniforms to Netball clubs across the Central Coast. We supply custom printed dresses for netball teams local to the Central Coast, aswell as service Sydney and Newcastle regions. We supply branded netball team uniforms including training polos with embroidery, training tees with club logo screen printed or embroidered, track suits with embroidery of club logo and hoodies with embroidery of club logo. Goodgear have an extensive range, and offer custom designed uniforms and branded stock uniforms to netball clubs. Contact us today, and let us know what you’re looking for. Our experienced uniform specialists will work with you to find the uniforms your club needs, uniforms that suit your budget and are available in your club colours. Goodgear also supply custom printed merchandise to Netball clubs, perfect for on-selling, or gifting at registration days. We also supply gifts for netball presentation night. Some of our popular products for Netball Clubs include sports bags with club logo embroidered, sports towels with club logo embroidered, reusable coffee mugs with netball logo printed, printed umbrellas with netball club logo printed on the panels, printed cooler bags, tattoos with club logo for gala sports days and many more. Contact Goodgear to speak to an account manager who can recommend exciting and unique products suited to your club needs, budget and delivery date. Check out our suggestions below, but if you have something different in mind or would like pricing for different products, let us know and we will work with you to find exactly what you’re looking for! Click here to download or print our netball club specials.